Also includes Dialogues on the Supersensual Life. 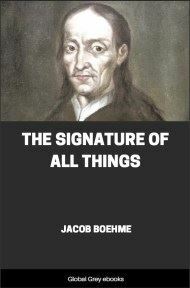 Boehme discourses at length here on one of the fundamental laws of Magic: the law of signatures, the concept that every object in the real world has some hidden meaning, and particularly how these signatures interact. 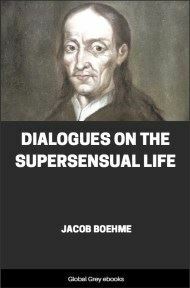 At the core of Boehme's philosophy is a mystical Christianity. 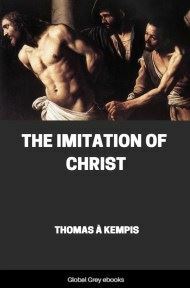 However, his beliefs were far from that of the Lutheran establishment, and he was persecuted his entire life. There are few figures in history more strange and beautiful than that of Jacob Boehme. With a few exceptions the outward events of his life were unremarkable. He was born in 1575 at the village Alt Seidenberg, two miles from Goerlitz in Germany and close to the Bohemian border. His parents were poor, and in childhood he was put to mind their cattle. It was in the solitude of the fields that he first beheld a vision, and assuredly his contemplative spirit must have been well nourished by the continual companionship of nature. Physically he was not robust (though he never had a sickness), and for this reason his parents, when he was fourteen, apprenticed him to a shoemaker. 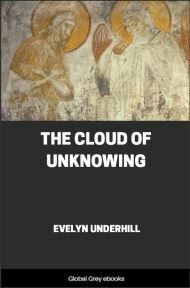 Of his apprenticeship nothing is recorded, I think, except a story about a mysterious man who came once to the shop when the master was away, and taking Jacob by both hands foretold to him the great work that he should accomplish. In 1599, when he was four-and-twenty, he became a master shoemaker, and in the same year he married the daughter of a butcher. The girl developed into a capable considerate woman, and they lived together happily until Boehme died. They had four sons and probably two daughters, but his children do not figure prominently in the story of his life. Already he had been visited by a sudden illumination of mind, and in 1600 he experienced the second of those marvellous ecstasies that gave splendour to the whole of his after-life. 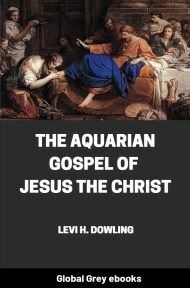 This, also, was followed by a third and still more brilliant illumination that made clear and complete much that in his previous visions had been obscure and unrelated. The more dramatic portion of his life begins, however, with the publication of his first book (about 1612). At first he called it Morning-Glow, but at the suggestion of a friend he altered the title to that under which it has become world-famous—Aurora. Now although Lutheranism had severely shaken the old orthodoxy, it had itself become, in Boehme's time, an orthodoxy just as rigid. Quite naturally the book was read by the pastor of Goerlitz, one Gregorius Richter. He was a man intolerant, conceited, violent of temper, and obtuse of intellect. He despised and feared the shoemaker. 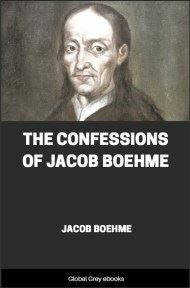 The book ruffled him into a self-righteous passion, and hurrying to the City Council he demanded that Boehme should be banished. The Council was afraid to refuse, and Boehme (like nearly all the truth-bringers) was exiled from his native town. On the morrow, however, the Council convened again. Its members were stirred by a fine shame when it was put to them that they had banished a citizen of stainless reputation, and one, indeed, who regularly attended church. They recalled him at once, but on condition that he should write no books. In the following year he changed his occupation. Literary work had caused his business to decline, and having sold the shop he journeyed to the larger cities of the neighbourhood (such, for example, as Prague and Dresden) selling woollen gloves; but after a while it was no longer possible for him to disobey the inner command that he should give to men his revelations, and in these last ten years he composed the unique and shining books of which we have a selection in this volume. Gregorius Richter, as we should expect, by no means left him at peace. He was denounced from the pulpit and in his own hearing. Scurrilous treatises were flung at him, treatises full of personal abuse and ignoble sneers at his profession. " His writing," observed those who represented the Son of the carpenter, "smells overmuch of cobbler's pitch;" and again we read, "Will ye have the words of Jesus Christ or the words of a shoemaker?" The shoemaker answered them gently and with dignity, as when he declared, "Not I, the I that I am, knows these things, but God knows them in me." 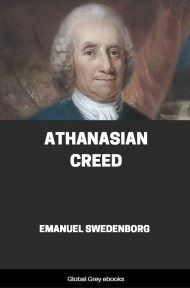 In 1624 his friend Abraham von Frankenburg republished a selection of his writings under the title of The Way to Christ. Its radiant beauty impelled the respect of many who belonged to the orthodox church, and this very fact inflamed the Tertullians of his native town. Again they banished him on the charge of impiety, and even refused that he should say farewell to his wife and sons. He went to Dresden. There already he had found a friend in Dr. Hinkelmann. It is pleasant to, record that while he was at Dresden the emperor convened a meeting of eminent divines, that Boehme was invited, and that the depth and spirituality of his thought, together with the charm and modesty with which he expressed it, were received with admiration by many and with enthusiasm by the learned doctors Gerhard and Meissner. But at the end of the year (November 20, 1624) he died, happily and in the presence of a loving and beloved son. He had foretold the very hour of his death. So relentless were his opponents in Goerlitz that, until the intervention of the powerful Count Hannibal von Drohna, they refused a burial service, and the very priest who had attended him in death, being forced by the Council to make an oration, began by declaring that he would rather walk twenty miles than praise the gentle Boehme. The elaborate cross, too, which was put upon his tomb was torn down in anger.